Previously, we reported that the highly-anticipated Google Playground event was getting moved due to the worsening weather conditions in New York brought about by Hurricane Sandy. Today, we’ve gotten word that T-Mobile has decided to follow Google’s lead and cancel the T-Mobile Showcase event scheduled for today. Apologies for the late mail, but due to the expected weather in New York, T-Mobile will be postponing its showcase event (which was scheduled for October 29) to a later date. We will keep you posted on a rescheduled date as soon as we can. Thanks for your flexibility and patience and apologies for the inconvenience. The T-Mobile Showcase which, was going to happen after the Google Playground event, was expected to feature a whole lot of Samsung Galaxy Note 2, several other new Android phones joining their line-up and the launch of their Windows Phone 8 devices, specifically the HTC Phone 8X. Unfortunately, T-Mobile subscribers waiting for big news on these new toys will have to wait a little longer. But hey, it’s better this way, at least everyone gets to stay safe and dry. 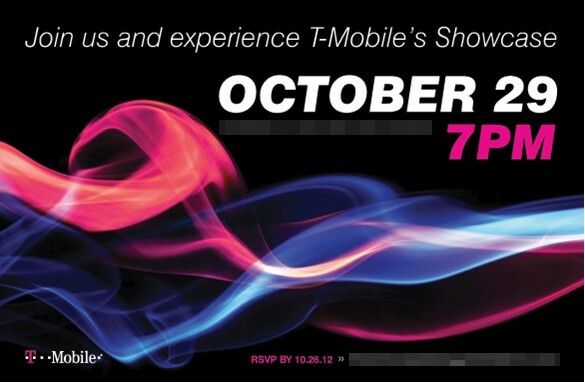 We’ll have more details about the T-Mobile Showcase and its new event date as soon as the details emerge. Be sure to check back here on Tapscape!